A new research conducted found that one in four American women are unprepared for their period. The study also found that the conversation around menstruation has changed. 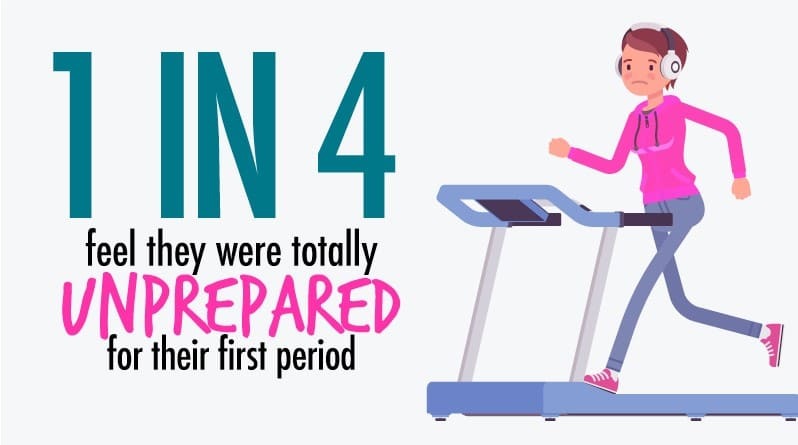 One in four American women feels they were totally unprepared for their first period – according to new research. For the most part, over half (55 percent) were generally unprepared for the first time Aunt Flo showed up. 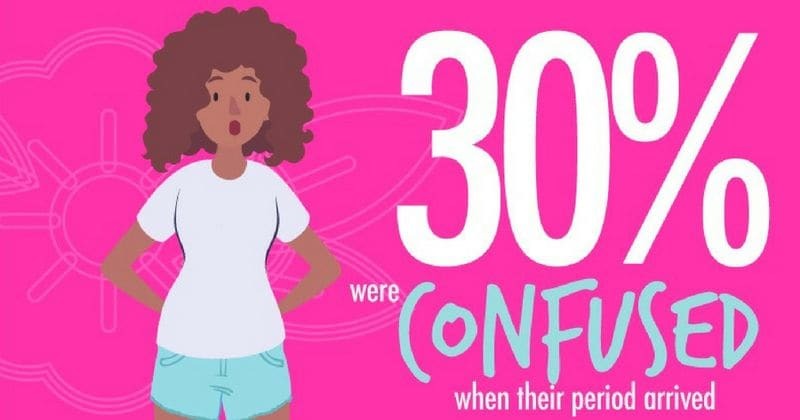 In fact, the recent study of 2,000 American women saw 30 percent claim they were left feeling utterly confused when their period first arrived. 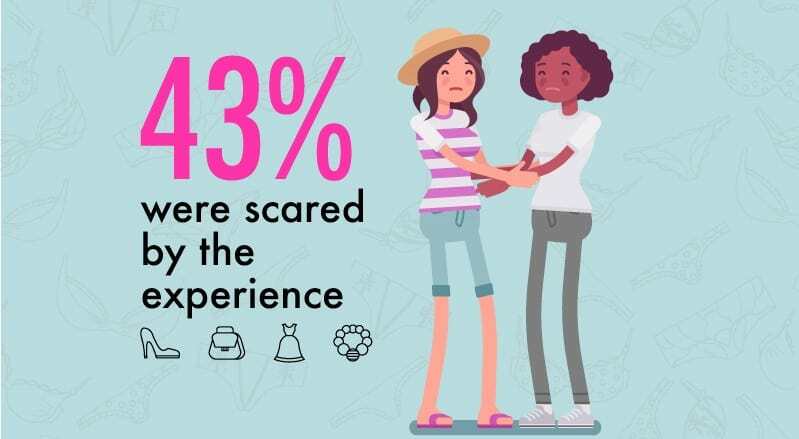 Another 43 percent say that they were scared by the experience, while the majority – 52 percent – felt sheer embarrassment. 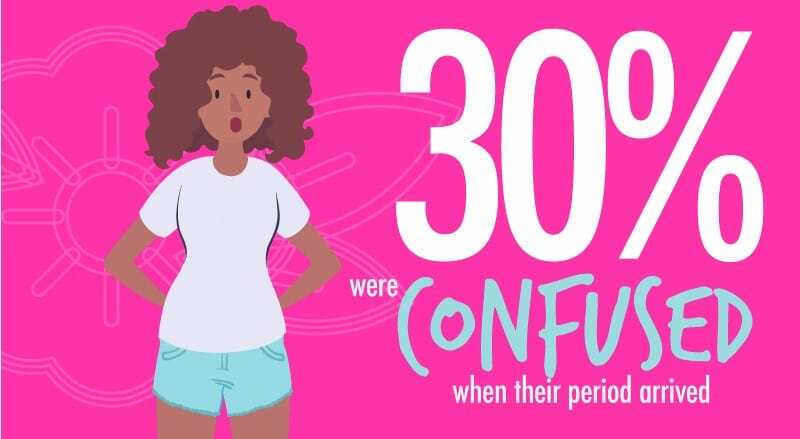 The study, conducted by OnePoll in conjunction with Diva International Inc., makers of the DivaCup, examined the first-time menstrual experiences of 2,000 women and examined the generational differences in how those first times play out. Although the results showed the extent to which the majority of women felt unprepared and unable to talk about their periods, the data showed that this is thankfully changing for today’s young women. The study began by questioning women on whether they had been spoken to or had a conversation about periods and what to expect – 48 percent hadn’t. Of those that were comfortable enough to discuss it with someone, mothers were the number one person that girls could talk with. Even though women were more comfortable talking with their moms, 18 percent of those didn’t feel very prepared for when their period actually showed up. Only a quarter say that they knew what to do when it arrived. A significant hurdle in previous decades was education. More than half of women – 53 percent – claim that they weren’t educated on what the symptoms and experience would be, with 61 percent saying they were shocked by how painful the cramps turned out to be. Only 18 percent say that they were emotionally prepared for the experience. Fortunately, that seems to be changing for the modern young woman. 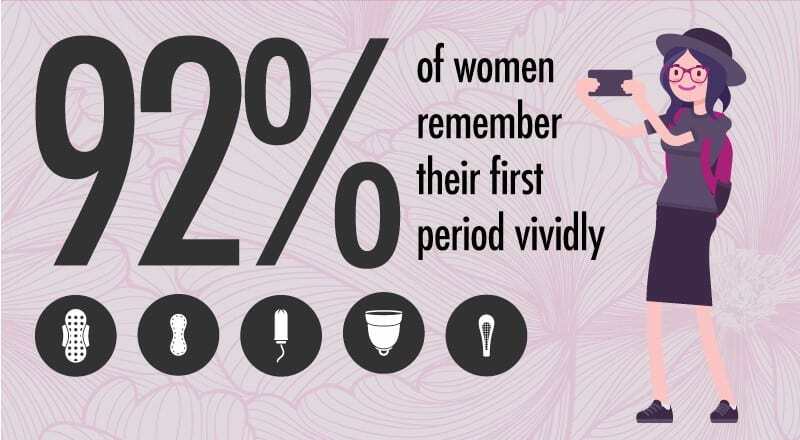 Nearly all women – 92 percent – claim to be able to vividly remember the very first time they got their period, with the most common places being home (56 percent) or school (19 percent). Luckily, most women had feminine hygiene products available to them when their period came for the first time. Thirty-six percent had tampons and 91 percent had disposable sanitary pads – yet 18 percent claim that they had no idea how to use any kind of feminine product at all. On a positive note, while only 44 percent of women felt comfortable talking about getting their period when they did for the first time, more than 70 percent say they feel comfortable discussing it now. “As parents, we can encourage positive change in menstrual discourse and lead in the education of what to expect, how to prepare and why the experience of menstruation is one to value and be proud of,” stated Erik Kikuchi, the president of Diva International Inc., makers of the DivaCup. The good news is that times are finally changing. While over half (51 percent) of women 55 and older never had a conversation with anyone about what to expect before getting their period for the first time, three in five (59 percent) of those aged 18-24 have had a conversation about the expectations of having their period. In fact, talking to fathers has also evolved for the better. For those aged 18-24, nearly one in 10 (8 percent) were comfortable talking to their dad about getting their period for the first time. This is in stark contrast to just one percent of those aged 55 and older who felt like they could talk to their dad about getting their monthly flow for the very first time. With the changing times, knowing how to use the variety of products on the market today is becoming a lot more common. In fact, 31 percent of those aged 18-24 were comfortable using some of the products available to them. That’s compared to just 15 percent of those age 55 and older who felt the same way when they first got their period. Being more comfortable about getting a period has evolved over time. Twenty-three percent of those 55 and older were not at all comfortable about talking about their periods, compared to just 18 percent of millennials. It also seems like the stigma associated with periods is going away – with 82 percent of older millennials being comfortable discussing their monthly flow with others. As women are discussing their monthly flow more often, celebrating the big event is becoming a phenomenon of sorts. In fact, a quarter of women have attended a “first-period” party – with one in 10 women wishing they themselves could have had such a celebration. “When you get your period for the first time, you should feel a sense of empowerment. That feeling isn’t going to happen if we do not provide the education, resources, and experiences needed. Let’s talk periods – with everyone!” added Corinne Chambers-Saini, CEO, and co-founder of Diva International Inc., makers of the DivaCup.